What Better way to celebrate that special holiday with our 35 Foot Avalanche Inflatable Slide. 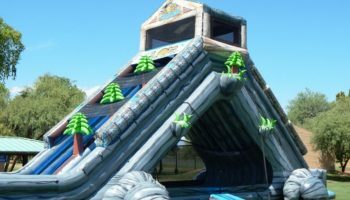 An amazing huge 35 foot inflatable slide themed especially for the christmas holidays or your next big summer company picnic. 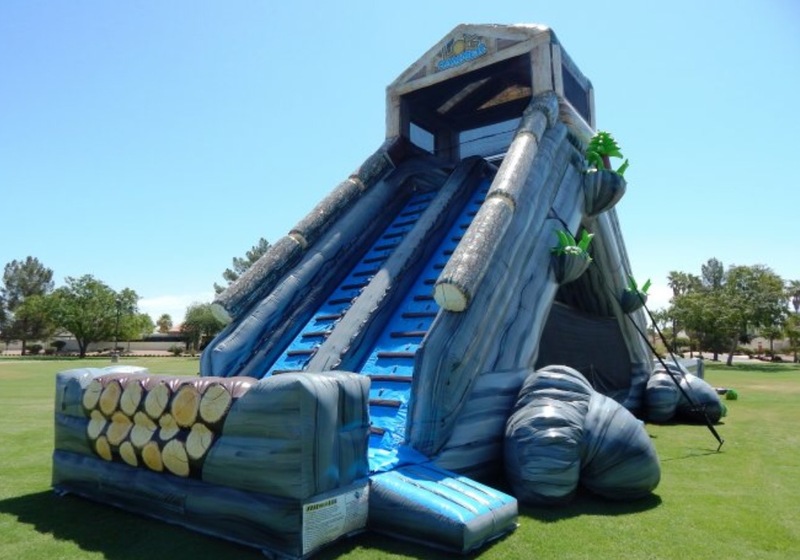 We have created the ultimate dual purpose 35 Foot Avalanche Inflatable Slide that can be used with or without water. In the winter this snowzilla inflatable slide can be used with snow tubes to create the feeling of sliding down a big snow mountain. 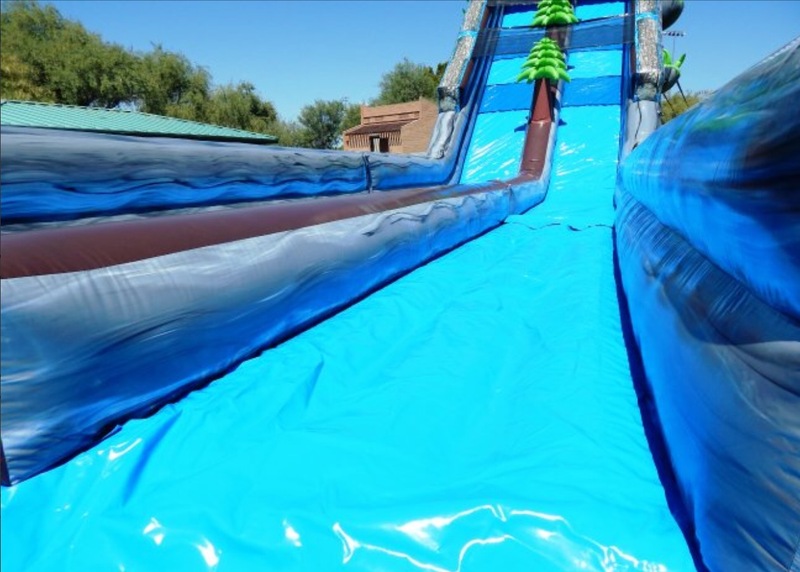 Or you can rent the 35 Foot Avalanche Inflatable Slide for either a dry or a very fast two lane water slide. 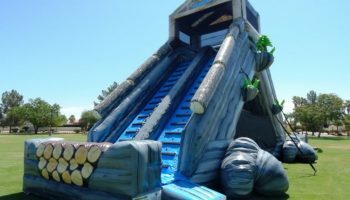 Measuring at 35 feet tall and 90 feet in length this 35 Foot Avalanche Inflatable Slide is one of the largest in the San Francisco Bay Area. 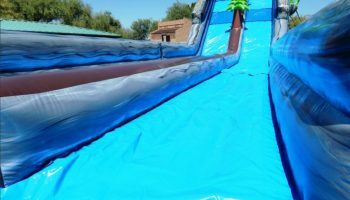 Two people at a time climb up the back of the 35 Foot Avalanche Inflatable Slide then take the plunge down the fast and thrilling two lanes. 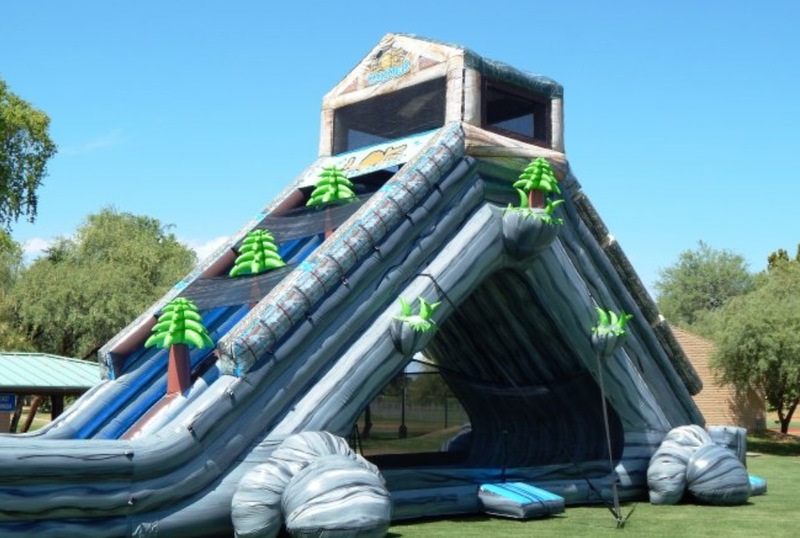 In the holiday season you can request the snow tubes to slide down this amazing fast inflatable slide. 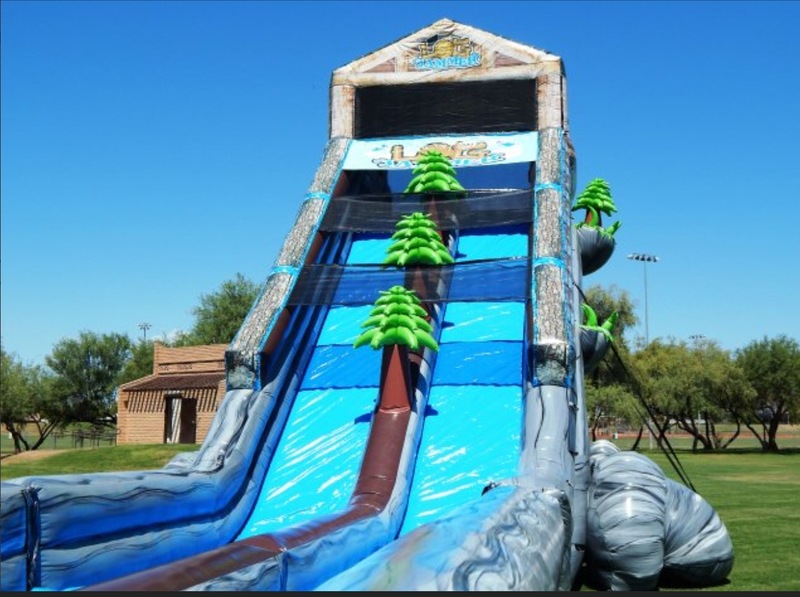 If you would like to use the 35 Foot Avalanche Inflatable Slide in the non holiday christmas season we can rent this as either a two lane dry slide or you can have us create this as a fast two lane water slide with a huge slip and slide at the end. 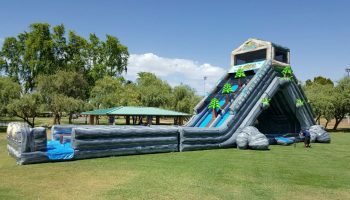 We have also created a summer time package with the 35 Foot Avalanche Inflatable Slide with us attaching a foam machine towards the end of the slide with the feel of it snowing as you reach the end. 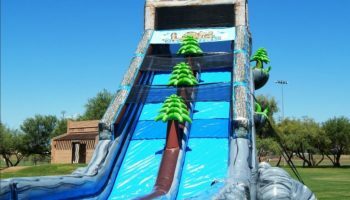 We can create the ultimate holiday package with the 35 Foot Avalanche Inflatable Slide and our other holiday items like our Mechanical reindeer or our famous inflatable human snow globe. Just call our office to let us spice up your next holiday or summer time event. We deliver all our products all over the state of California and the San Francisco Bay Area Cites. Space requirements: 90ft L x 18ft W x 35ft H. The 35 ft Avalanche Inflatable Slide rental price includes standard set up. Standard setup is considered an area within 80 feet of sufficient electrical supply. Price: $ Please call 888-630-3866 with your zip code for more accurate rate.